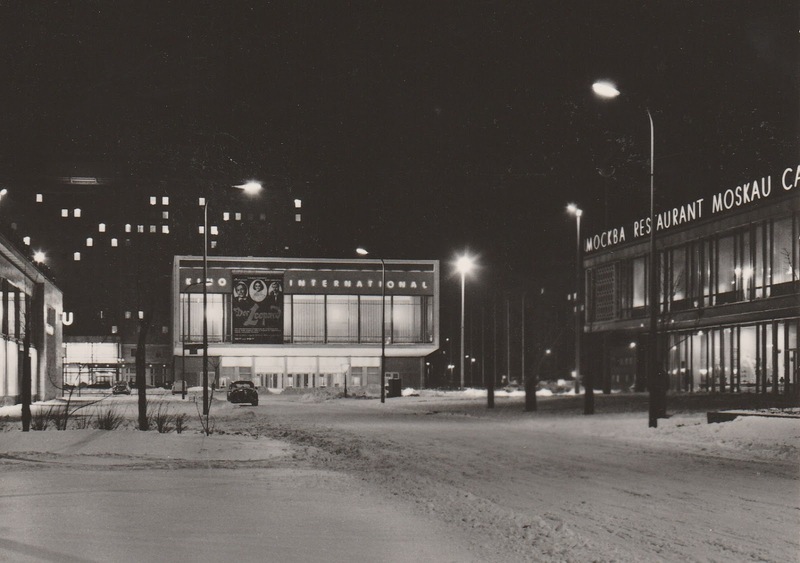 Kino International in East Berlin was opened on 15th November 1963. The first movie was the Soviet Optimistische Tragödie / Optimistic tragedy / Оптимистическая трагедия by Samson Samsonov (USSR, 1963). The cinema has a screen of 17,5 metres and 608 seats in one hall. There were also a library and a youth club in this building. It was the most important film theatre in East Berlin until the fall of the wall on 9th November 1989. On this day there was the premiere of the movie Coming Out by Heiner Carow (GDR, 1989) about young gays in East Berlin. Today Kino International is used by many filmmakers for premieres due to the theater's ambience and is one of the venues of the Berlinale. Visitors from Berlin are fond of the theater's history and special atmosphere. The large film posters on the outside of the theater are still painted by hand. The postcard is from 1966. The cinema advertises the movie The Leopard / Il Gattopardo by Luchino Visconti (Italy, 1963), realesed here on 7th January 1966. It is one of the rare postcards with a cinema at night - and in winter. The cinema is still opened. It has been on the heritage list of the state of Berlin since 1990.